The term Cargo Insurance, popularly known as marine insurance, applies to all modes of transportation. 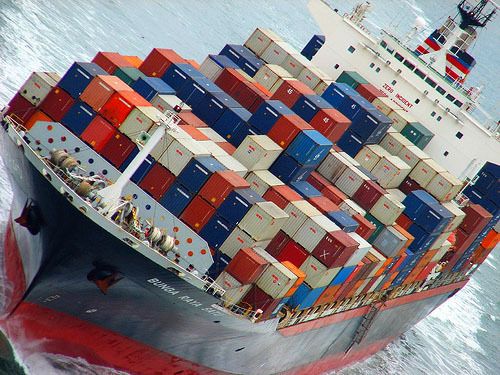 The need for export (or import) cargo insurance often differs from exporter to exporter (or importer to importer) and from consignment to consignment. Unless the insurance is mandatory in a trade term, the exporter or the importer may opt not to insure the goods at his/her own risks. Depending on the international commercial terms, either the seller (the exporter) or the buyer (the importer) is responsible for insuring the cargo. The seller is obligated to insure the cargo in the CIF and CIP terms. The seller may not to insure the cargo at his/her own risks in the DDU and DDP terms.The trade terms DDU and DDP are often used in the turnkey projects where the amount at stake is large. In practice, the seller usually insures the cargo in the DDU and DDP terms. Proof of insurance coverage is contained in a document known as policy or insurance policy. The format of insurance policy forms varies from insurer to insurer, but all essentially have the Institute Clauses and the same information as contained in the Insurance Application-Instructions (IAI).The policy must be issued and signed by an insurance company or its agent. If more than one original is issued and is so indicated in the policy, all the originals must be presented to the bank, unless otherwise authorized in the letter of credit (L/C).The sample letter of credit requires "insurance policy in duplicate ...", as such the presentation of one original and one copy (both signed) will satisfy the requirement.Unless authorized in the letter of credit (L/C), the cover note issued by broker, which is a temporary insurance coverage pending the later issuance of an insurance policy, is not acceptable. The insurance policy, either a specific policy or an open policy, is issued once by the insurer. In the case of the exporter holding an open policy, he/she cannot send that sole policy to all the buyers and for all the shipments made over a period of time. Therefore, in lieu thereof an insurance certificate---certificate of insurance---is issued by the exporter to each shipment. The blank insurance certificates are supplied by the insurer pre-signed and bearing the open policy number of the exporter.Unless otherwise stipulated in the letter of credit (L/C), the insurance certificate issued under the open policy is acceptable. If the L/C specifically calls for an insurance certificate, the insurance policy is accepted in lieu thereof. In practice, the insurance policy is often used.In the sample letter of credit the insurance policy is required, hence the bank will not accept the insurance certificate. Open PolicyThe open policy---blanket policy or floating policy---is issued once by the insurer under contract to cover all shipments made by the exporter over a period of time (one year usually) subject to renewal, rather than to one shipment only. It is more often used by the large exporter. In an open policy the exporter is required to periodically (monthly usually) declare every shipment made to any location, covering any type of goods, and using any means of conveyance, including multimodal transport and transhipment, in order that the insurer may calculate the insurance premiums and invoice them accordingly. The exporter completes the insurance declaration form supplied by the insurer and/or supplies the copy of the insurance certificates to the insurer. An insurance declaration form typically contains the information in an Insurance Application-Instructions (IAI). 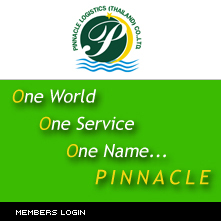 Specific PolicyThe specific policy---voyage policy---is issued by the insurer to cover a particular shipment or one shipment only. The specific policy is often used in many countries. Time Saving and Convenience In certain countries the insurance agent (broker) may hand-deliver the insurance policy to the exporter within 4-5 hours after the receipt of the Insurance Application-Instructions (IAI) or similar form. However, in some countries it is not uncommon that the policy is mailed to the exporter 2-3 days after the receipt of the Insurance Application-Instructions (IAI) or similar form. Considering that the national mail in some countries may take four (4) or more days to reach the addressee, the deadline to meet the L/C latest negotiation date may not be met. In an open policy the exporter may have the documentary proof of insurance coverage in a matter of minutes by simply completing and signing the blank insurance certificates supplied by the insurer. Under the open policy the insurer most often does not know the shipments made by the exporter before the receipt of the insurance declaration form and/or copy of the insurance certificates, but such shipments are insured. 1. To help reduce losses that may result from currency exchange. 2. Enables clients to negotiate on coverage conditions and to get lower or equal premiums when compared to those offered abroad. This is because insurance companies in foreign countries often lack the essential local port and maritime knowledge and conditions in which Thai businesses operate. Coverage ends at the destination port specified in the underwriting. 3. Import taxes can be deducted because the Customs Department usually uses Costs, Insurance and Freight (CIF) rate to calculate import taxes. This means that importers who use domestic insurance companies are not only able to pay lower premium charges, but also can take advantage of the lower tax rates when based on the CIF rates. 4. In case of loss or damage to goods, the insured persons can contact their insurance companies directly when they want to make payment claims. This can save costs and more importantly, for a customer with a business to run, save time. Customers who buy insurance from companies based overseas often have to wait for several months before their claims are processed and approved. 1. Can also benefit from reduced losses that come with currency exchange. 2. Under the CIF’s product-sold category, when losses are sustained in the destination country, exporters are able to help purchasers make payment claims to insurance companies. Although the exporters themselves may not receive financial gain from this, it is good to maintain good relations with all-important customers and clients and leaves customers with a positive image of your company long into the future. 3. Under the CIF’s product-sold category, insurance covers the transportation of exporters’ goods from factories or warehouses to container ships without needing an insurance premium payment. Under the FOB or C&F product-sold guidelines, exporters are responsible for all transportation risks and have more expensive expenses pertaining to insurance. 2. Marine Hull Insurance covers losses and damages of hulls, machinery and shipping equipment damaged by storms, vessels running aground, fire and shipwreck. For further details, please contact our CUSTOMER SERVICE Dept.